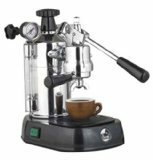 My Espresso Shop is a leading online retailer of espresso machines, grinders, and related accessories. It specializes in both home and commercial equipment, and with the price match guarantee, you can rest assured that you’re getting the absolute lowest prices on the market. 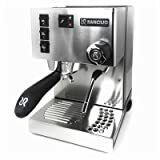 My Espresso Shop is also unique for offering free shipping and no tax on every single espresso machine and grinder. And if that hasn’t convinced you, there is almost always a special bonus offering going on. If you take a look right now, you’ll see the current offering is a free Amazon gift card with nearly every Espresso Machine and Grinder! The team at My Espresso Shop truly values customer service, just reach out with any questions you have and they will offer you all the help you could ever need. But first, take a look at some of the reviews and you’ll see it’s quite evident that they go above and beyond for their customers. 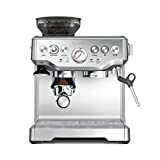 Yesterday I was speaking with Greg from the customer service department and right away I could tell he shared my passion for all things espresso, he is eager to help you find an espresso machine or grinder that’s right for your lifestyle and budget. 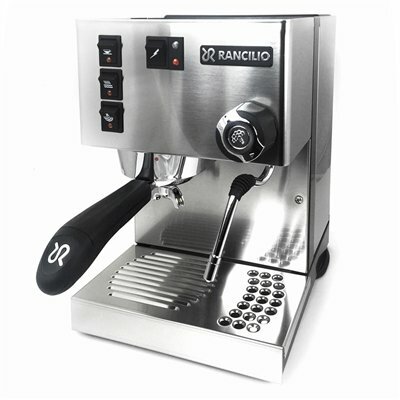 Known simply as the “Silvia” by it’s fans, Rancilio’s Silvia M Espresso Machine is one of the best home espresso machines in it’s price range. 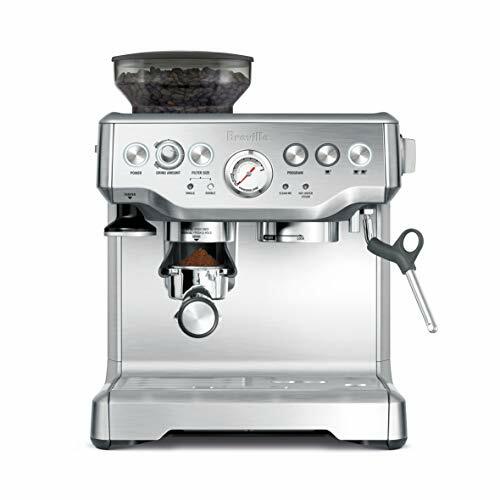 Equipped with a premium boiler and a brass group head with a lovely chrome finish, the Silvia M has a beautiful look and is easy to use. The Silvia M now also features a handy light that indicates when the machine has reached optimal temperature, so you can rest assured you’ll be pulling fantastic shots time and time again. Available in two configurations: “AP” and “BG” the Baratza “Forte” is the premier grinder offered by Baratza. It is available in two different variants: the “AP” (‘all purpose’), which can be viewed as a sort of “all in one” grinder that’s capable of grinding for any style of coffee, and the “BG”, which features high-quality, durable steel burrs and is intended only for courser grinds. If you’re batch brewing or looking to make the perfect cold brew, the BG is the grinder for you. Additionally, a number of coffee shops use the BG for the sole purpose of making consistent, delicious cold brew. Both the AP and BG are well-designed and heavy duty, and built to last. 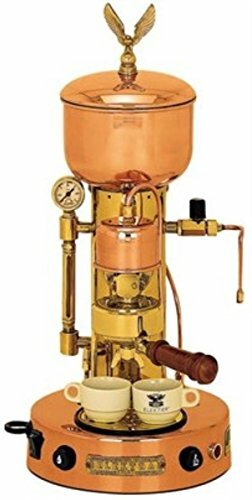 Is among the most popular lever machines on the market. 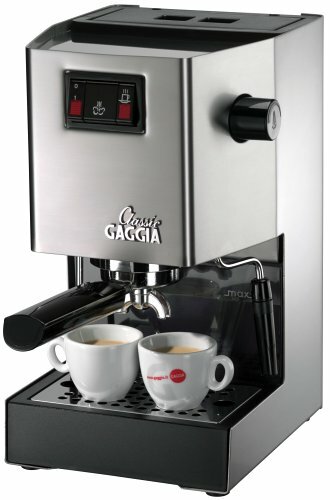 Available in both solid chrome or with a black base, this machine is not only perfect for those who enjoy a more ‘hands-on’ espresso experience, but it also looks stunning. The La Pavoni Europiccola model is a great, affordable option for every home barista looking for a manual machine. Once you get past a brief learning curve, La Pavoni machines are very enjoying to work with. There are few options that truly give you total control over the espresso-making process. What’s even better is that My Espresso Shop has a great blog post on their site that serves as user manual for those new to La Pavoni Machines. 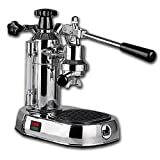 Available in a chrome or black finish, the Macinatore Fausto Grinder by Rocket is easily one of the premier home grinders on the market. It’s also a popular ‘secondary’ grinder for cafes. This grinder utilizes high-quality steel burrs that are capable of producing super-fine grinds, making it ideal for espresso lovers.